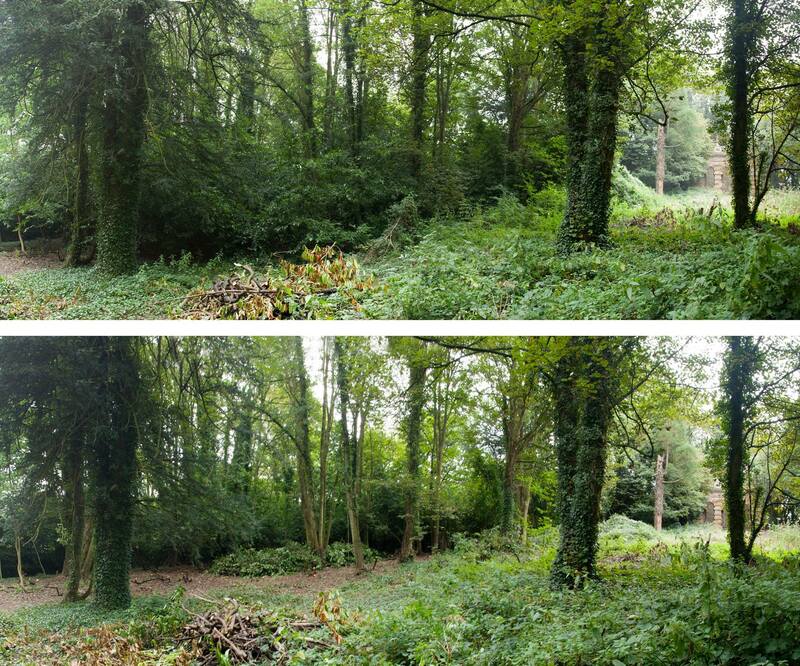 Laying-in to more feral laurel bushes will help open up the woodland under-storey to more light and enable native species to thrive. 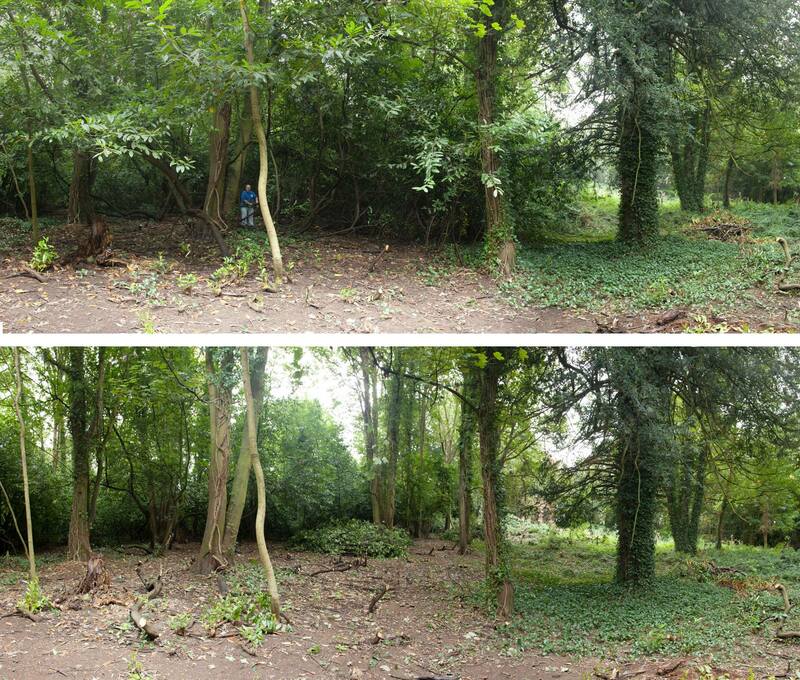 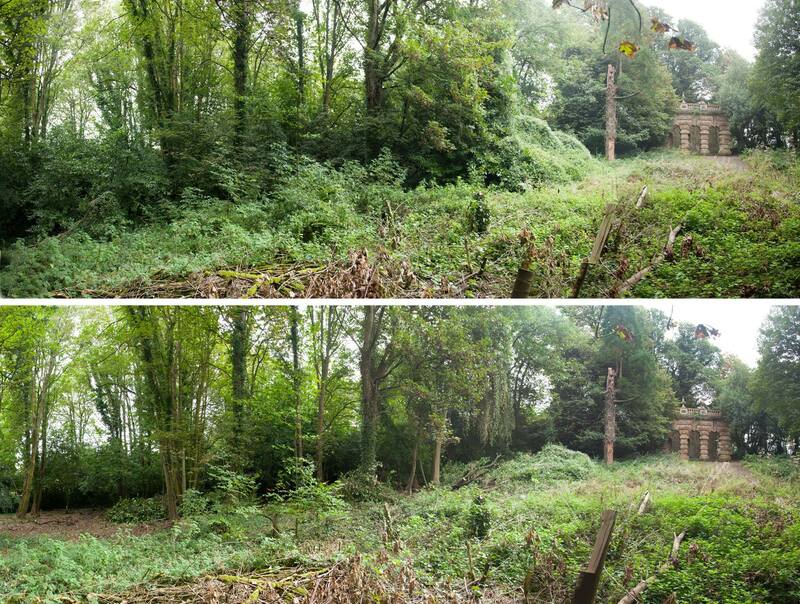 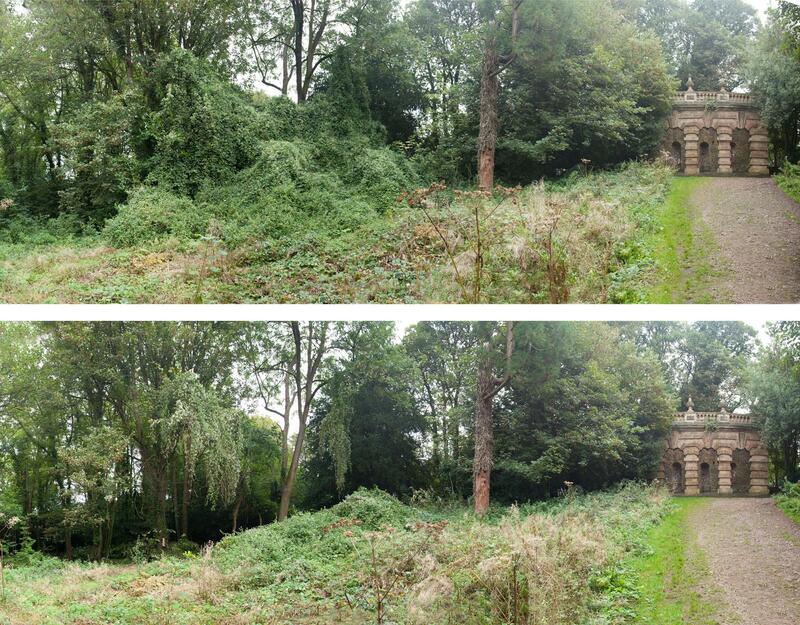 These photos show the results of September’s working party on the 20th when we undertook more clearance below the Echo. 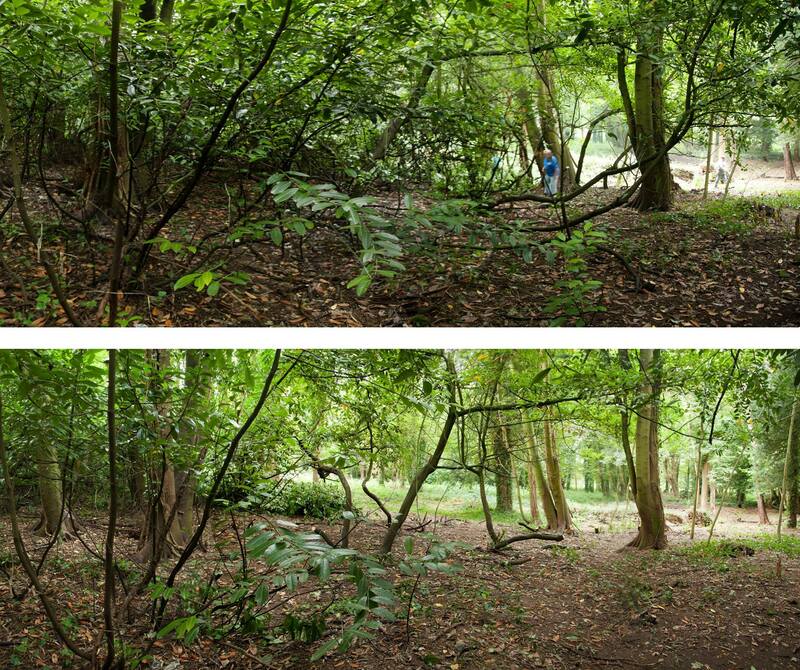 Better light and a more open area will also increase safety for visitors and brings new perspectives looking towards the Echo. 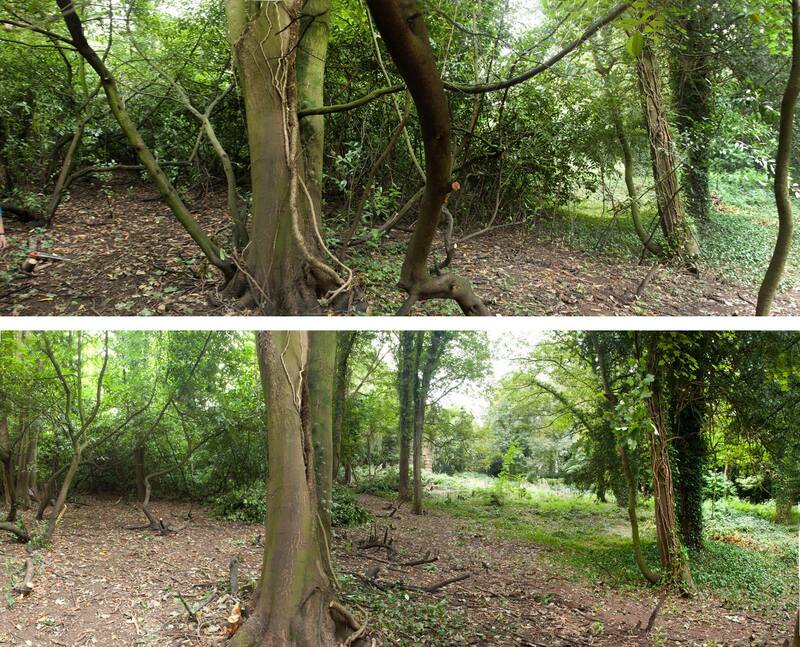 Woodland floor receives light after perhaps thirty years or more of darkness beneath the laurels. 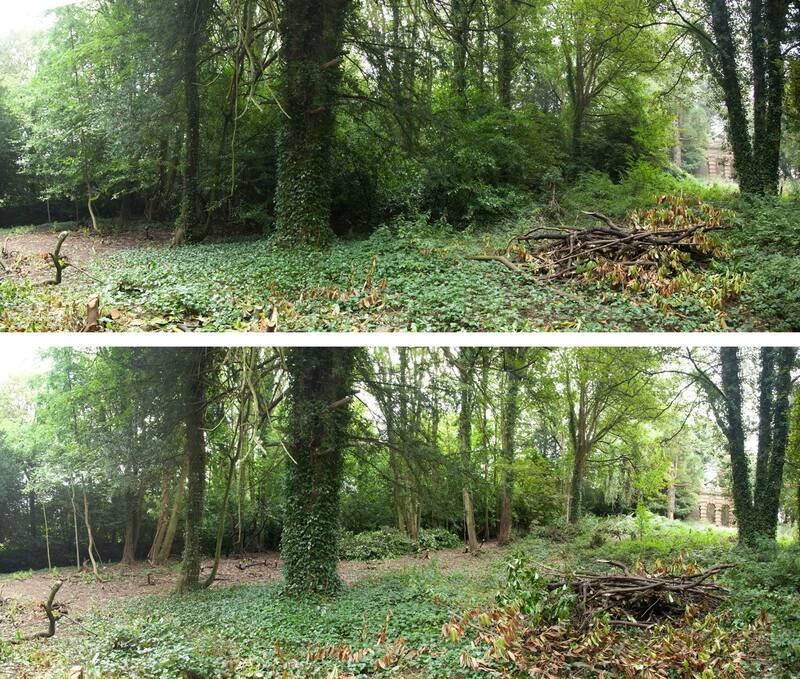 The choking clematis and laurel gone from the Echo really gives a great sense of how big the wood is here.